Mile 25: One of the most beautiful views along Route 136 today. 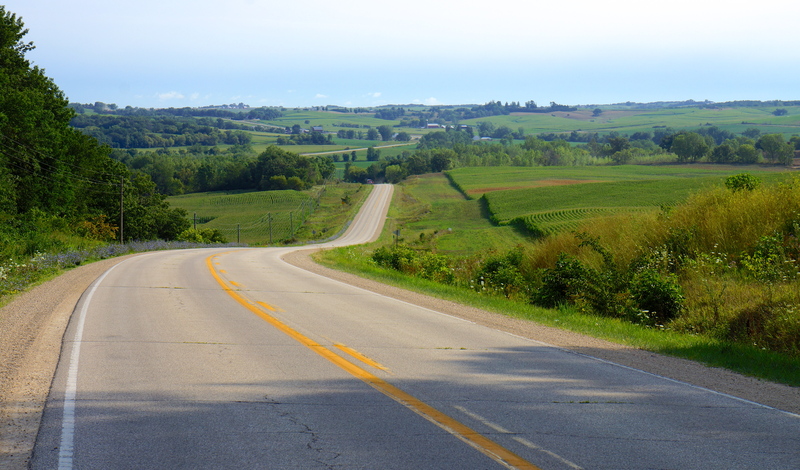 Started biking at 6:30 am to avoid the high temperatures forecasted for the late afternoon in Iowa. It was a long ride (89 miles) even though we cut out 9 miles from the normal route by taking an alternative route. Even though it was hot and long, today I felt particularly energetic (and for the first time started regularly using my cleats to pull up on the pedals which gave me a real boost) and after keeping up with a couple of the other riders, I actually passed them at one point and stayed ahead for many miles. An interesting note – It has been clear for many days that Iowa is a battleground state for the presidential election. The number of political TV ads (most of which are negative) has been overwhelming as we reached the broadcast area for Iowa (including TV stations in Minnesota, Wisconsin and Illinois that border Iowa). Mile 2: Driveway decoration at a farm just outside Dyersville. 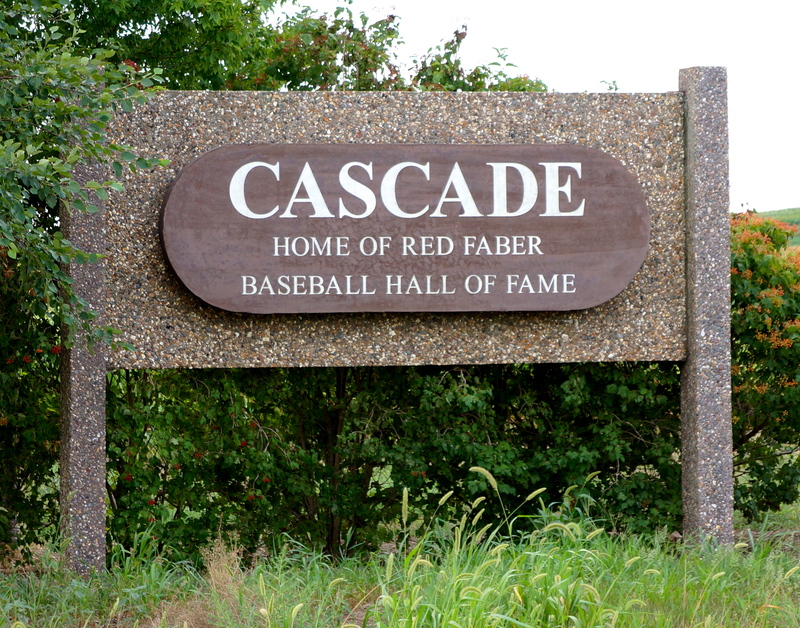 Mile 15: Cascade, IA (population 1,598) – Home of Red Faber (for those who follow baseball). I stopped at a convenience store and began a conversation with the friendly shop owner. As I was leaving, she came out and gave me a home grown tomato. The group shared it later in the day – it was delicious. 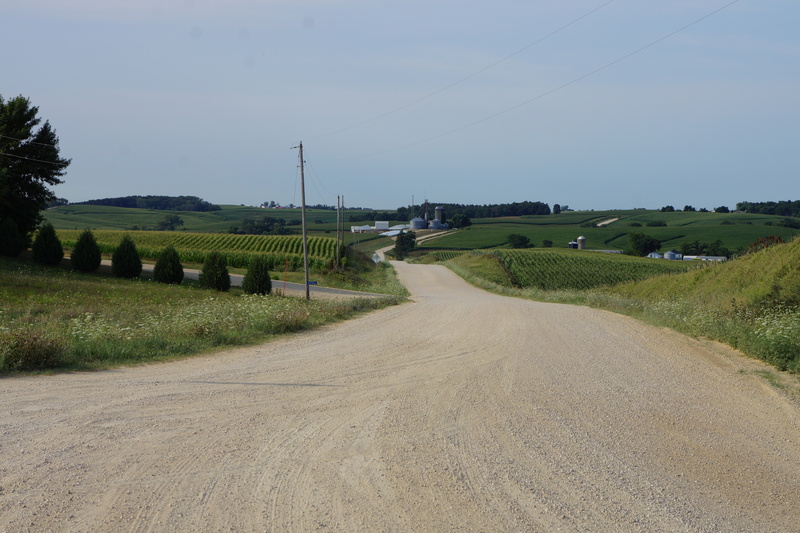 Mile 18: One of the many dirt roads on Route 136 in Iowa that lead off to farms. Mile 20: View along Route 136 today with Doug in the distance. Mile 27: View on Route 136 with Doug just after our SAG rest stop. 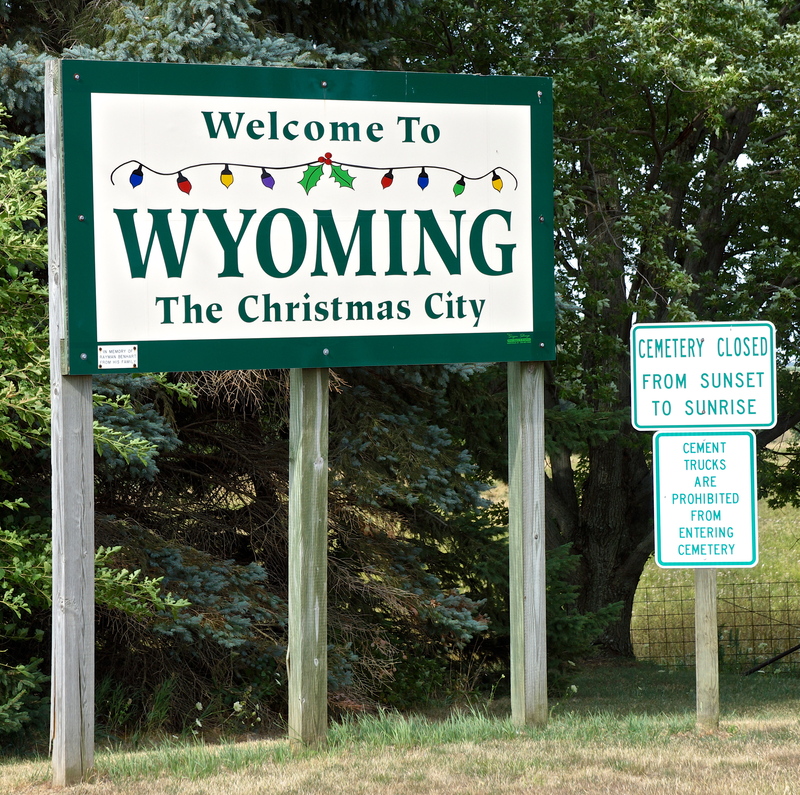 Mile 30: Entering Wyoming (IA), “The Christmas City” (population 626). Interesting that the town found it necessary to post that “CEMENT TRUCKS ARE PROHIBITED FROM ENTERING CEMETERY”. I wonder why? The other interesting (but sad) feature of Wyoming was the golf course. It was the most colorful golf course I have seen – The greens were brilliant green and all the fairways were covered in dead brown/yellow grass and lined with dead bushes. 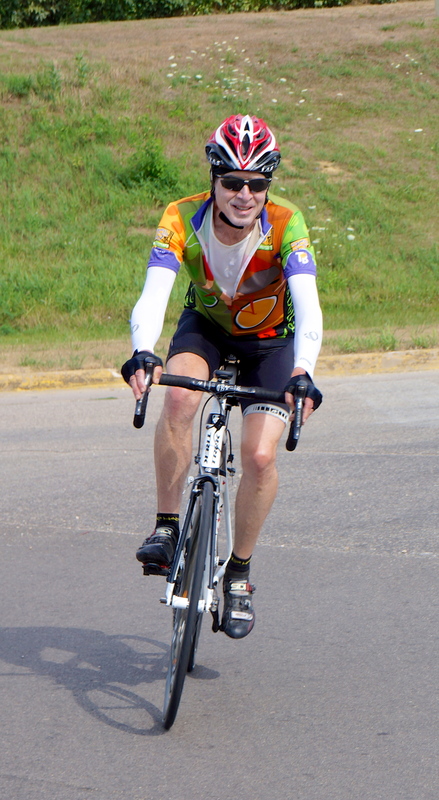 Mile 31: Robert (in very colorful attire) passing through Wyoming, IA. This entry was posted on July 25, 2012 by Steve. It was filed under Photograph of the Day . Steve, I and Dave are your neighbors. Jeanette told me of your trip. I am enjoying your travel. I feel that I am on vacation with you! You are amazing and your reports are fascinating. Thanks! 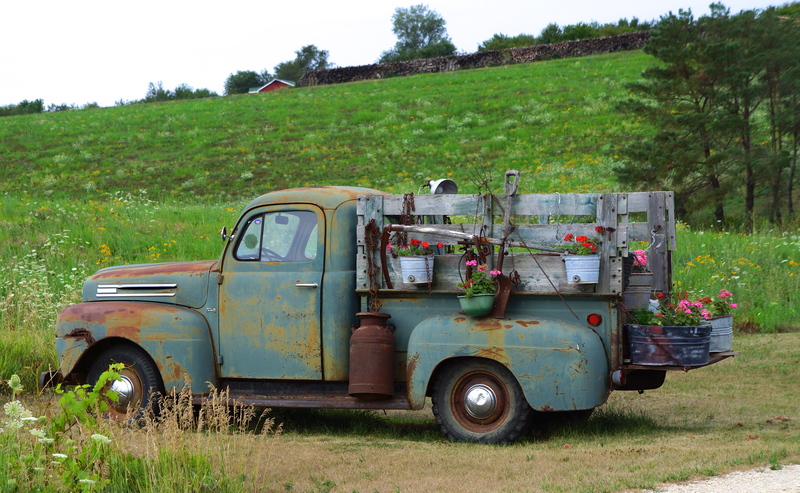 the photo of the truck “yard art” is absolutely frame worthy! you have such a good eye and i am loving all of the pictures! Thanks Poppy. I’d be happy to send you any photos you may want.